During Brad Brinegar's tenure, McKinney has had one of the best new-business records in the advertising agency industry, attracting such marquee brands as Sony Electronics and Virgin Mobile USA. Advertising Age, citing the agency's forward-looking business model as a paradigm for the world ahead, recently ranked McKinney one of the nine best agencies in the country. 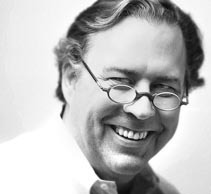 Before coming to McKinney in 2002, Brinegar served as CEO of Leo Burnett USA, the world's second largest advertising agency office. Alice Bumgarner (AB): What is the importance and the role of innovation in today's global economic environment? Brad Brinegar: Without innovation, competitors gravitate to what we like to call "the category blueprint," where everyone delivers essentially the same solutions in the same way. When that happens, margins tend to erode, because you start to compete on price, and the cost to win customers from your competition goes up. Of course, that also opens up the opportunity for a disruptive player to bring new solutions into the category, and that's when you get back to creating value. AB: What is the most difficult problem you and your team have solved? Brad Brinegar: There are two problems that we constantly face with innovation. Every time you create a major innovation, you introduce inefficiencies into how you work. When you build an organization to deliver a solution one way, and the innovation requires a different work process, it takes time to figure out how to turn out the best solution with the least resource. The other is the challenge that we face in pricing. There are standard assumptions in our industry about pricing for the kind of work we do. If the work required to produce a different kind of solution is radically different, it can take a year for the market to adjust to the change. So you can see a lot of profit walk out the door in the early stages of an innovation. AB: What is the most exciting innovation you've been involved in developing? What factors made or make it so exciting? Brad Brinegar: We launched the Audi A3 with a program called "The Art of the Heist." It started with our understanding that the highly affluent young people we identified as our best prospects were more about rich experiences than about ownership per se, so our premise was they weren't buying a new car, they were buying "what's next." That led us to build a 90-day long, 24/7 online, offline and live alternate reality game. One of the real innovations was that we didn't aim the program at the people we thought would buy the car. We aimed the program at hard-core online gamers, because we knew they would create the buzz that would turn the A3 from a nice car into the hottest topic on the web. In essence, the innovation was to turn gamers into media for the brand. It was the most complex advertising campaign ever attempted: 10,000 moving pieces, constant adjustment of different elements throughout the program. There were surprises every day. Brad Brinegar: The software we rely on is what's between the ears of our creative talents. But there are things we do to increase the odds of success in innovation. We designed our entire space, from the ground up, for collaboration. We invest twice the industry average in strategic resources, to make sure that our innovations are grounded in addressing the right business issues to create the results we want. We work in cross-disciplinary brand-teams, to increase the odds that different perspectives will lead to fresh insight. We bring in lots of outside speakers to bring us new perspectives. And we have an ad hoc group called the Interactive Community, which has grown from a handful of people to the majority of our professionals, who scour the web for new ways of using consumer technologies to connect with people. AB: Do your innovations come from inside the company, from consults or outside sources, or a combination of the two? How do outside consultants integrate and work with your in-house teams? Brad Brinegar: It's really a combination of the two. It's kind of weird to think of "supply chain management" in a creative service business, but we really are like a factory. We have raw material inputs: what a brand currently stands for, our understanding of the business problem we're trying to solve, insight into our best prospects. Those raw materials are the stimulus for the development of creative solutions, which are our product. But our product is not finished when the concepts are sold. We have to bring them to life. And that's when we bring in outside partners, whether it's a commercial director or a specialist in some interactive technology to supplement the broader talents of our in-house interactive production team, or a media company working with out media planners to develop ways to broaden the reach and impact of an idea. We also think of campaigns as conversations. And a rich conversation involves connecting with people in lots of different ways. So we have strategic alliances with public relations firms and direct marketing companies and others who specialize in things that we have chosen not to become experts in ourselves. Brad Brinegar: We recommend they go see a movie, read a book, go for a run, do something to let their minds operate in the background to sort out the issue. We also encourage them to grab a group of people who aren't on their team, lay out the problem and let some fresh voices add new perspective. Brad Brinegar: The biggest obstacle is "business as usual." Things have to get done, existing businesses and relationships need to be maintained, everything looks great, so why rock the boat? Another obstacle is knowledge. Sometimes you know too much to be able to look at a problem in a new way. That's why we try to mix perspectives, bring in new voices and stir things up a bit when people hit the wall. AB: What good books, articles, blogs or other media on the topic of innovation have you read? Are there any that you recommend to employees? Brad Brinegar: Blue Ocean Strategy is a good one. Ben Zander's The Art of Possibility has been a huge influence to us, because it's a brilliant treatise on how to manage your thinking and emotions to create. I also like Larry Bossidy's book Execution. Because it's a great reminder that it's not about thinking great thoughts. It's about making great ideas happen. Brad Brinegar: A new idea isn't an innovation unless it creates economic value. And too much of the talk about innovation is about upsetting apple carts instead of creating that kind of value. So we like to think more in terms of REINVENTION. Not accepting business as usual.